The JPs put a jazz infused island twist on acoustic music! 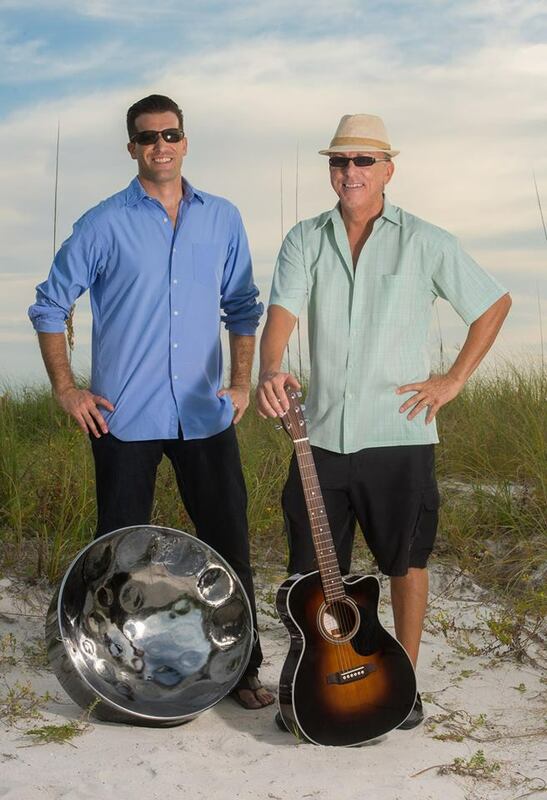 Made up of JOHN PATTI on steel drums and JIMI PAPPAS on guitar, the Florida-based duo bring a smooth, exciting and captivating sound that is anything but typical! Incorporating jazz, R&B, classic rock, folk and island music, these award-winning multi-instrumentalists have brought their tropically infused singer / songwriter music to hundreds of stages all over the world and leave fans craving more! The JPsʼ popularity has grown across the nation for their unique take on popular music, showcasing the steel pan and bringing it to the forefront of musical entertainment. Johnʼs expressively smooth sound elevates the steel pan from its perceived impression as just an island instrument to one of versatility across many musical genres. Jimiʼs soulful vocals and expressive guitar playing are influenced by the 70ʼs singer / songwriter movement, particularly James Taylor, and can be heard throughout his compelling original works. Between the two artists, their credentials include performances with many of the members of Jimmy Buffettʼs Coral Reefer Band, Jerry Jeff Walker, Chubby Checker, Les Paul and many more! John and Jimiʼs individual and collaborated studio recordings can be heard regularly on Sirius XM's Radio Margaritaville.